THE RIGHT TYPE OF VEHICLE AT THE RIGHT PRICE! Have you been looking for used cars in the Prince Rupert area only to come out empty handed? Is the life of your current car straining under the prolonged searching process? Don't wait until you're stranded once again by an unreliable vehicle or friend. Whether you need the power behind a BMW, the fuel efficiency of a Nissan Versa, or the space and comfort of a Dodge Grand Caravan, we at Queensway Auto World have what you need. Our pre-owned inventory has a wide array of choices and all come certified and most with a CarFax history report. 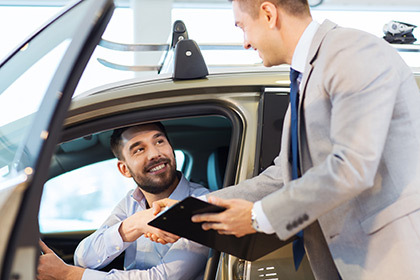 We understand the used car business and can match you with the right vehicle for the right price. Need financing? We can help with that, too. Stop in and see us or visit our online inventory now!